This is a sponsored post in partnership with DreamWorks Animation Television. All opinions are my own. My kids are huge fans of Trollhunters, so when they heard that the second chapter of the Tales of Arcadia series was coming to Netflix, they couldn't have been more excited. In fact, the day 3Below was released last week, they started watching it that very morning! So to celebrate the latest series from the team at DreamWorks animation, we had to do a few recipes for it. 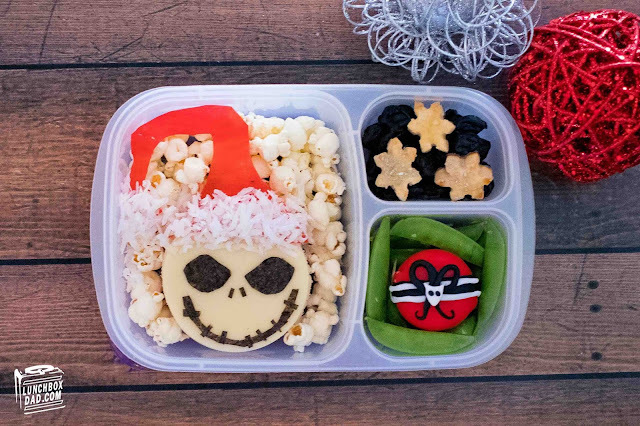 Read below to see how we made these fun meals, but first watch the trailer to find out why we are so pumped for 3Below! It's almost Christmas and I'm almost out of lunch ideas. Thankfully this is the last day to make a special lunch before my kids are off for a few weeks, and then I can recharge. I wanted to go out with a simple but super fun bang though. Basically, if you can cut a triangle, you can make this Elf lunch. It is always one of our favorite Christmas movies to watch each year. It's definitely in my top three along with A Christmas Story and Christmas Vacation. The point is, you can do this. 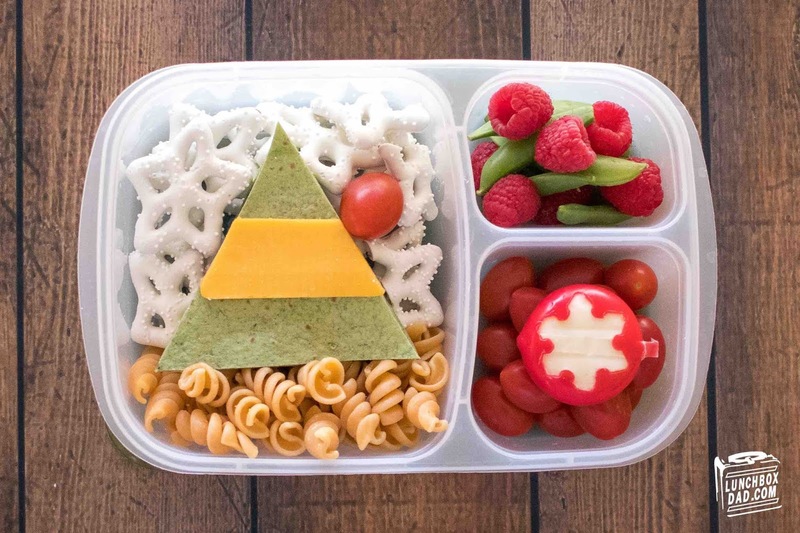 You can make this lunch for your kids. I just made a green spinach wrap tortilla sandwich, placed it above a mop of Buddy the Elf's curly hair (orange corkscrew pasta), and surrounded it with an homage to the way he decorated the store with tons of snowflakes. Throw in a few red and green touches and you are finished! It's really easy. Read below for the rest of the recipe and have a very merry Christmas. Just remember, "The best way to spread Christmas cheer is to sing aloud for all to hear!" "Fra-Gee-Lay! It must be Italian." The old man was so excited have this crate delivered to his door. You know the leg lamp was his major award. A Christmas Story is unequivocally the best Christmas movie of all-time. The list continues with Christmas Vacation second, and Elf coming in third. You can fight me if you want, but you would still be wrong. Because A Christmas Story is tops, I of course had to make my annual lunch celebrating this cinematic masterpiece. Since I have made A Christmas Story lunches before, I wanted to try and take a different angle with this one. I featured the wooden crate that the lamp came in, along with the famous Bumpus hounds and the turkey theft that they are known for. I also had to give you a sneak peek at a few of my favorite Christmas decorations. I have most of the collection of A Christmas Story lighted village. It's my pride and joy around this time of year. I ask for new pieces every year. And if you still doubt my family's love for the movie you will want to follow us at @lunchboxfamily. We have a special surprise coming for you! Until then, read the recipe below and let me know your favorite seen from the movie! 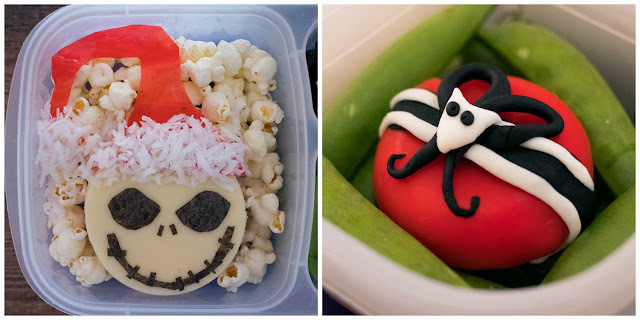 If you've been around my blog for awhile, you are well aware of my family's fondness for the movie The Nightmare Before Christmas. Well, despite the fact that this Disney movie is known as a Halloween and Christmas film, I have somehow never made a Jack Skellington lunch for Christmas. It has only been for Halloween. I know, I know, I'm having a hard time forgiving myself for this one. Hopefully this lunch will get me back on the nice list with my kids and the big guy in the red suit!